Allie Jones Walker and Jason Alan DeRoner, both of Manhattan, were married Nov. 14 at St. John’s Church in Florence. The Right Reverend Ariel Kenneth Weldon performed the 6 p.m. ceremony. The bride was given in marriage by her father. She is the daughter of Mr. and Mrs. Richard Lawson Walker of Florence. She is the granddaughter of Mr. and Mrs. Robert Weston Patterson of Florence and the late Mr. and Mrs. William Lee Walker of Greenville. Allie is also the step-granddaughter of Harriet Cabell Walker of Tuscaloosa, Ala. She earned a bachelor of science degree from the Calloway School of Business at Wake Forest University. She is a senior planner at R/GA, the Cannes Lions advertising agency of the year. The groom is the son of Mr. and Mrs. William Leroy DeRoner of Allentown, PA. He is the grandson of Mr. and Mrs. Robert Francis Mader and Faith May Neipert and the late Mr. William LeRoy DeRoner all of Allentown. A graduate of Bucknell University with a bachelor of arts in computer science and economics, he is the CEO and co-founder of TeachBoost, an educational software company. 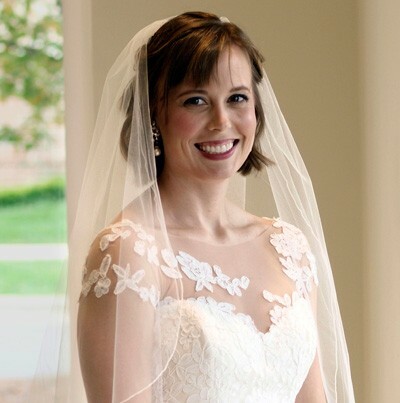 The bride’s sister, Jane Elliott Walker, served as maid of honor. Bridesmaids included Kelly Gannon Gangali, Mrs. Emily Rakes Skoutelas, Taylor Pace Oppermann, and Melanie Diane Cost. The groom’s best man was Nicholas Andrew Seibert. Groomsmen included Kyle Andrew DeRoner, brother or the groom, Andrew Jon Tuller, Michael Vincent Gioia, and Richard Lawson Walker Jr., brother of the bride. Eleanor Elizabeth Moloney and Madison Marie Healy were flower girls. Cameron Joseph Healy served as ring bearer. Scripture readers were Alexis Swift Sindall and Saul Gurvitz Miller. Harry Patterson Kannon served as the crucifer. Greeters were Enes NaKyung Cho and Katherine Moslak. Einav Jacubovich and Jessica Lauren Bogart were program attendants. A reception at the Waters Building followed the ceremony. After a wedding trip to Argentina and Brazil, the couple will reside in Manhattan.